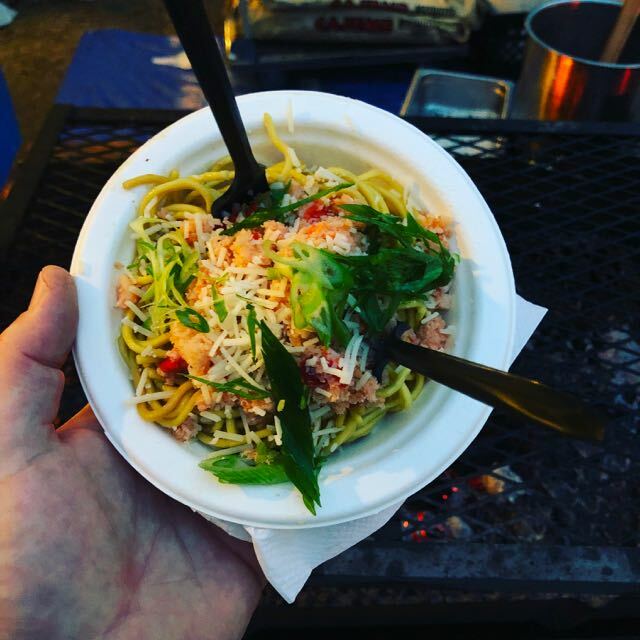 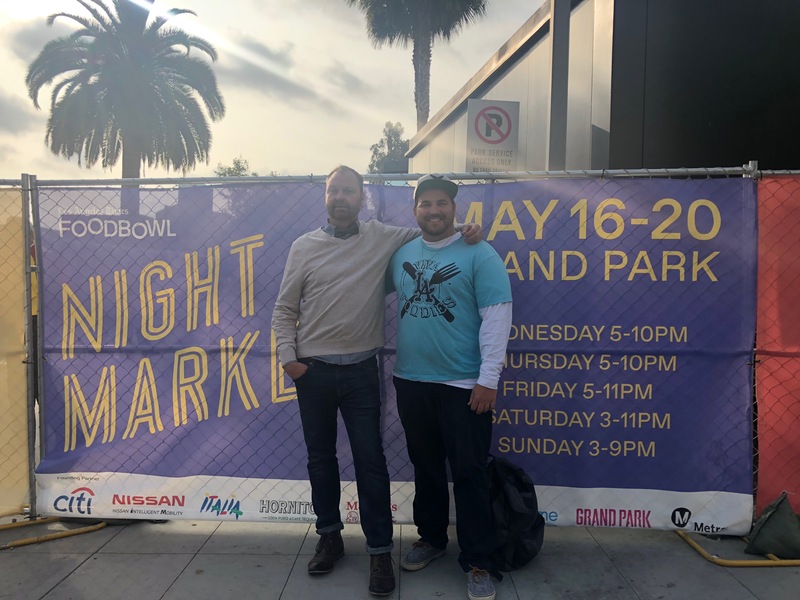 We are more than half-way through the Month long LA Food Bowl and the weeks long “Night Market” pop-up at Grand Park was where most of the LA Food Bowl action was this weekend from Thursday thru Sunday! 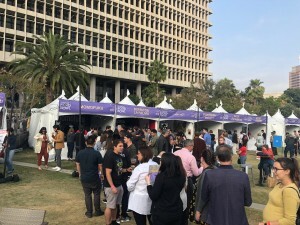 The festival went from LA’s Iconic City Hall building at Spring Street to the South and went northward to the Music Center Plaza at Grand Avenue with plenty of action spread over a zone of 4 city blocks. 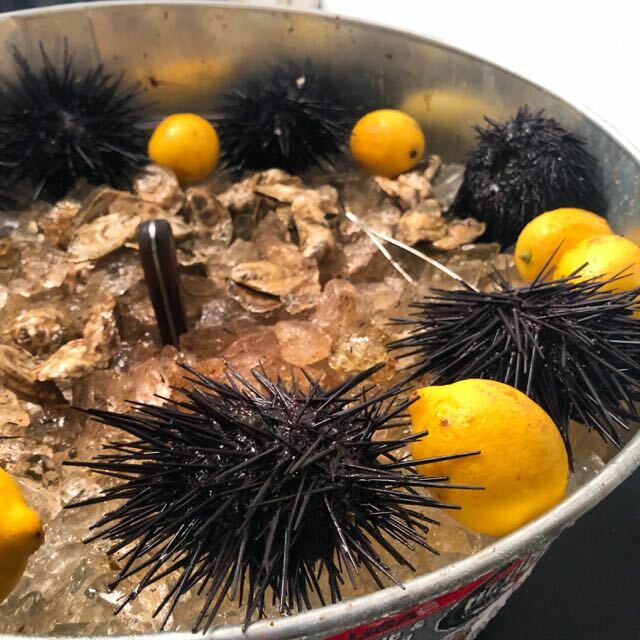 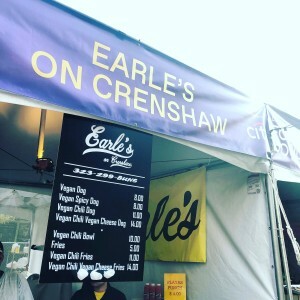 Curated by Jonathan Gold and his 101 Best Restaurants guide we knew we wouldn’t go hungry. 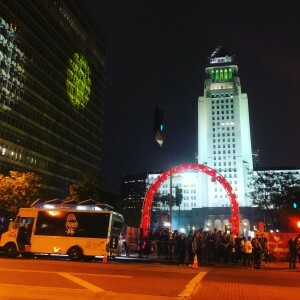 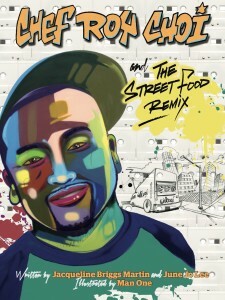 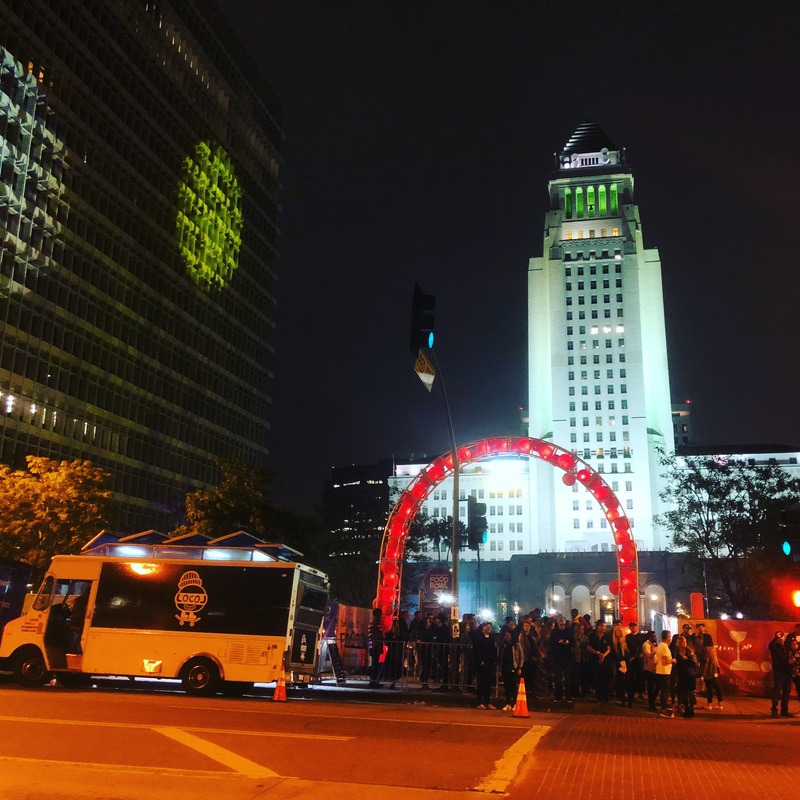 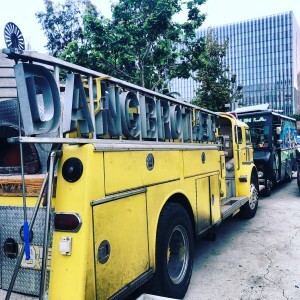 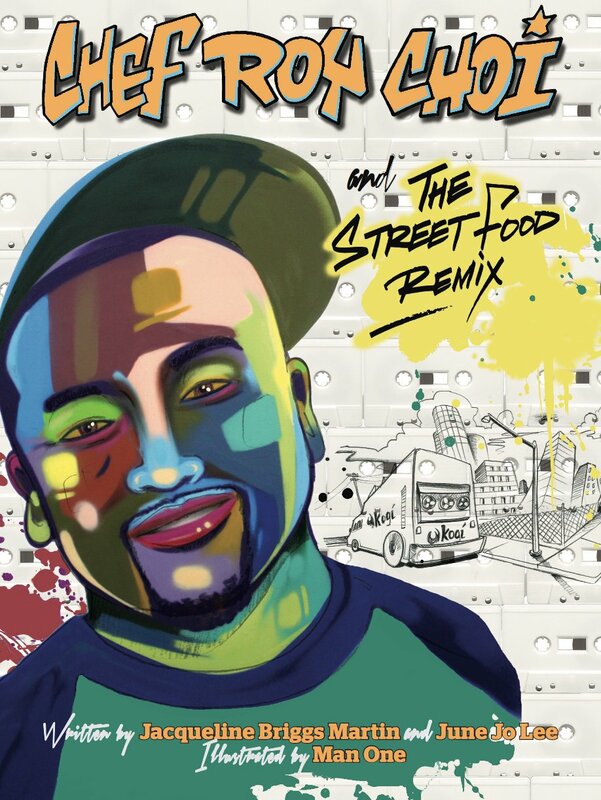 Participants included Guerilla Tacos, Jitlada, Park’s BBQ, Locol, Kogi BBQ, Mayura and many other street vendors and restaurants that represent LA. 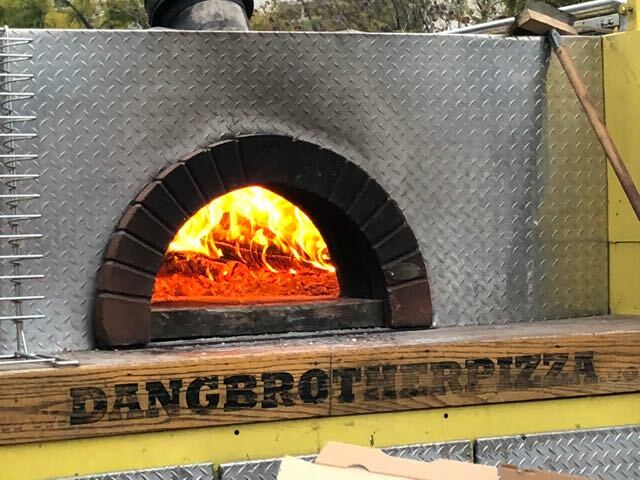 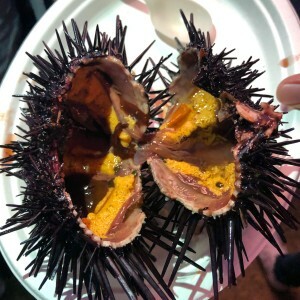 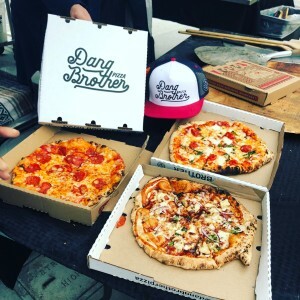 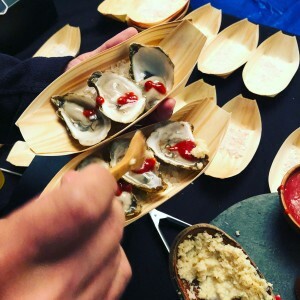 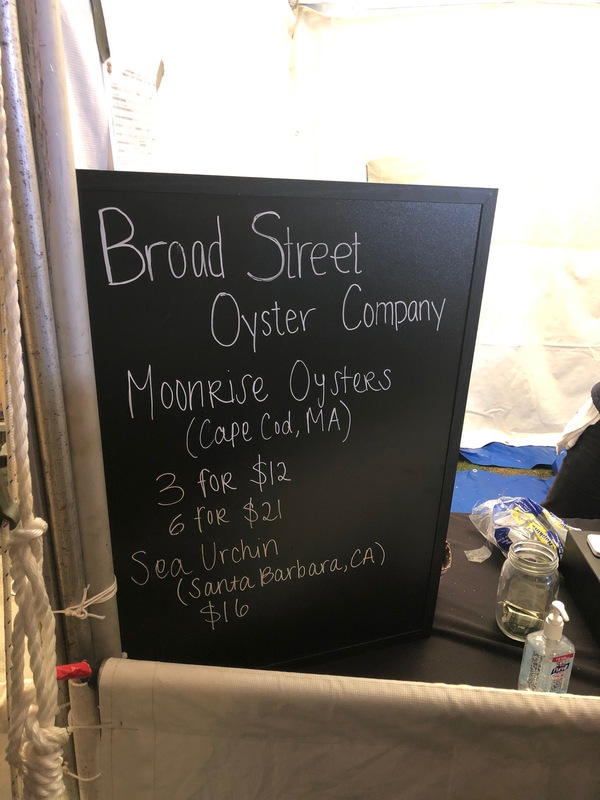 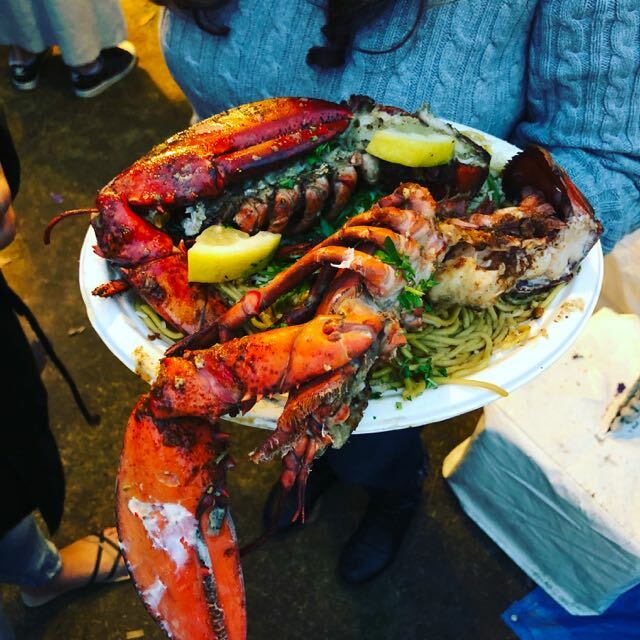 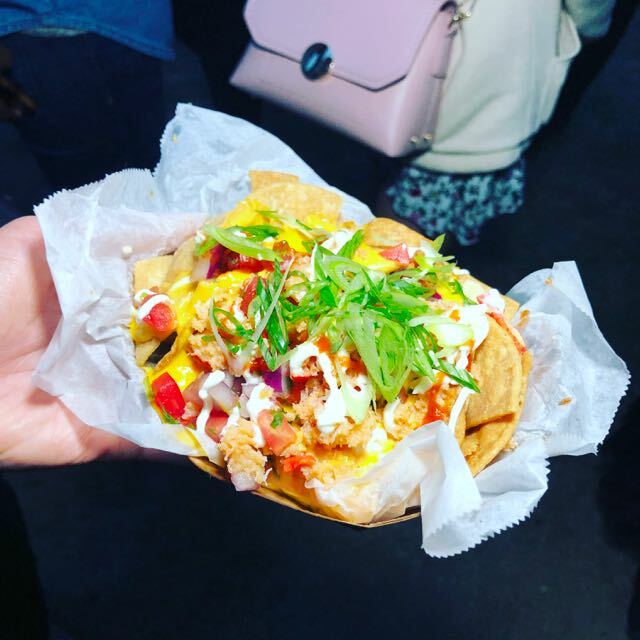 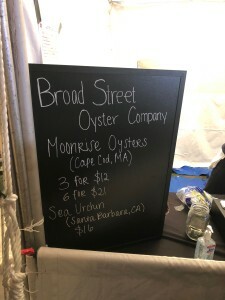 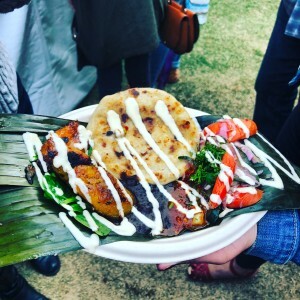 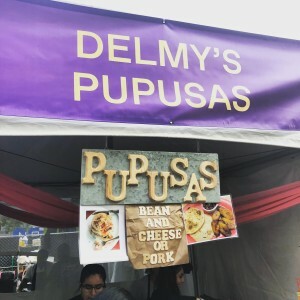 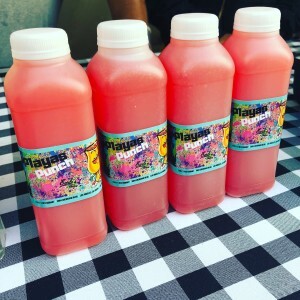 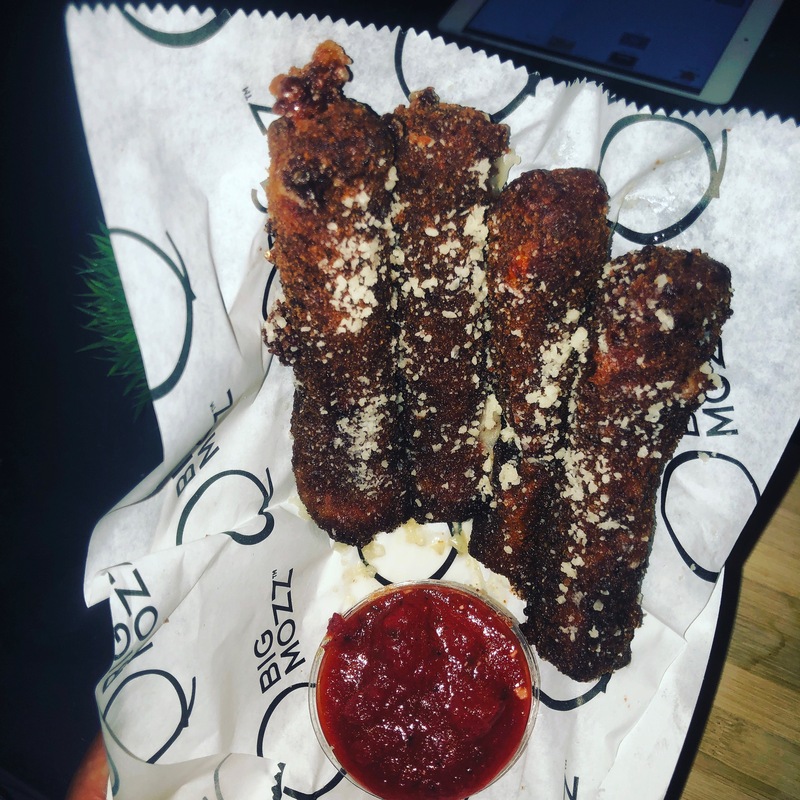 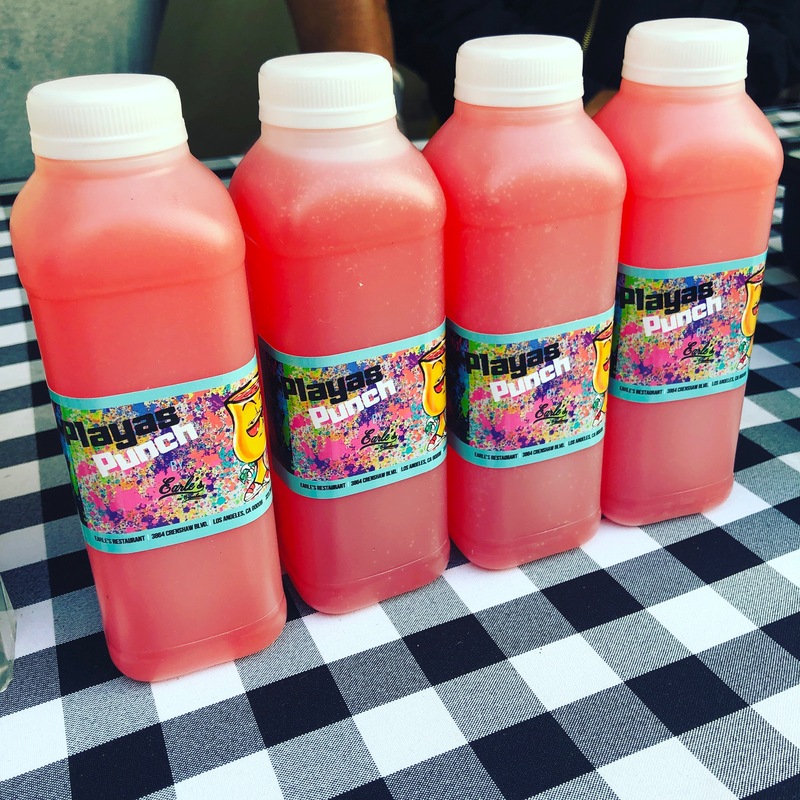 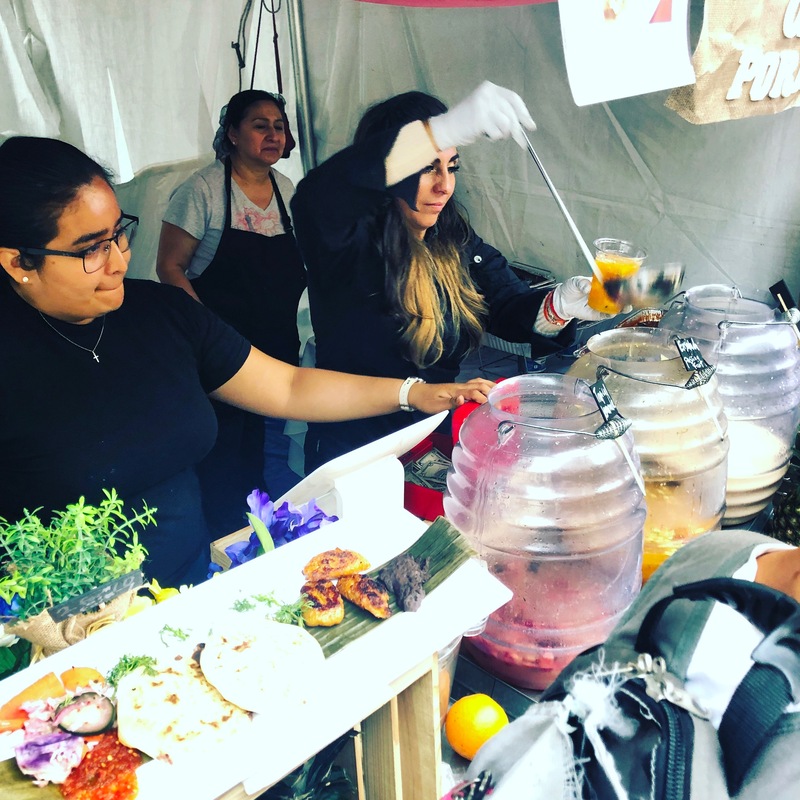 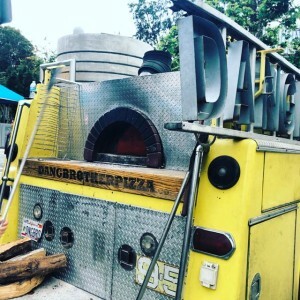 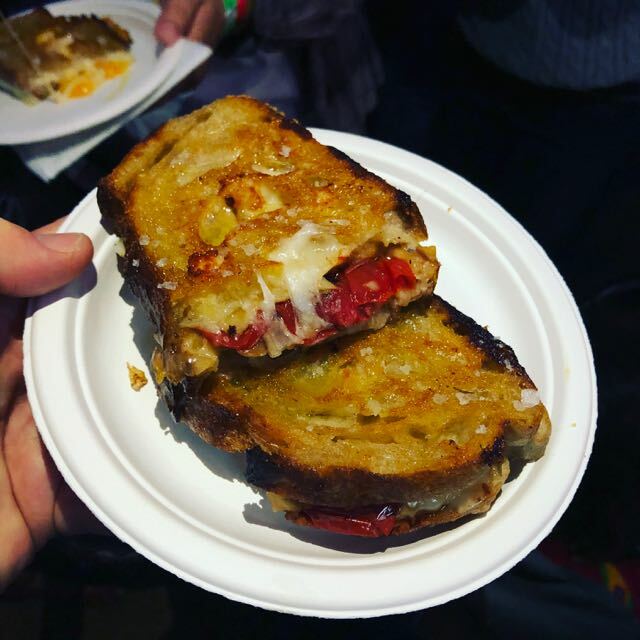 On Saturday, We had the pleasure of experiencing a media tour of the LA Food Bowl, Night Market and sampled bites from Delmy’s Pupusas, Cheezus, Lobsterdamus, Big Mozz, Broadstreet Oyster Co, Dang Brothers Pizza & Earle’s on Crenshaw. 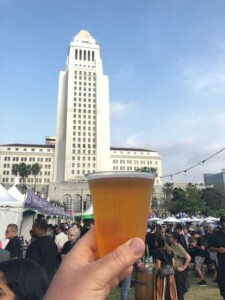 Before we got started with our whirlwind tour we needed some libation lubrication that came by way of one of our favorite Breweries; Ballast Point and their Bonito Blonde. 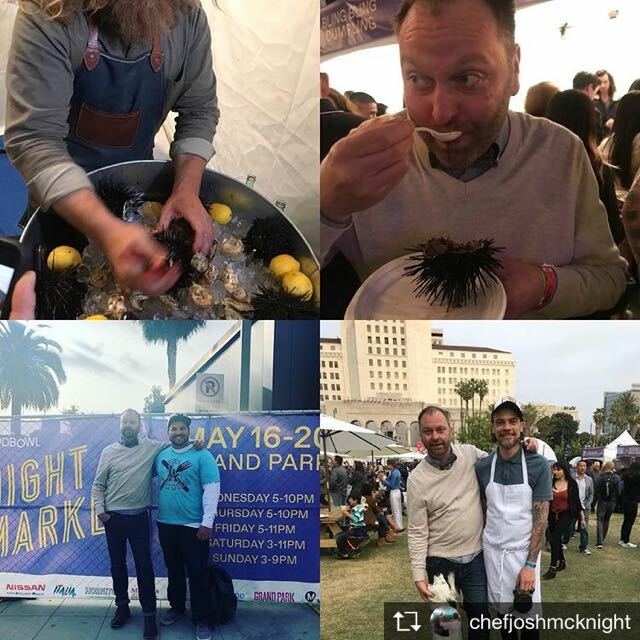 As you can tell we didn’t go hungry and were grateful that our fellow #VIVALAFOODIESsquad member Chef Josh McKnight could tag along to split plates with us. 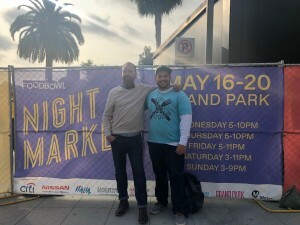 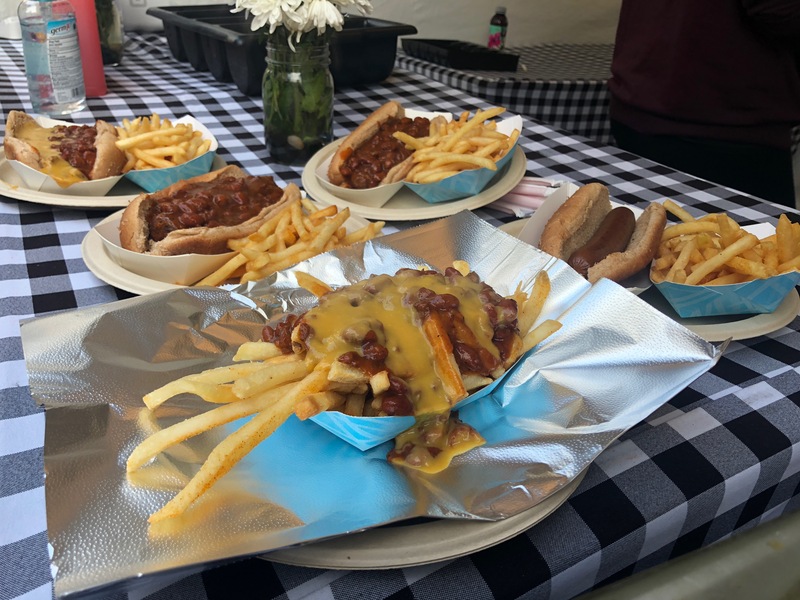 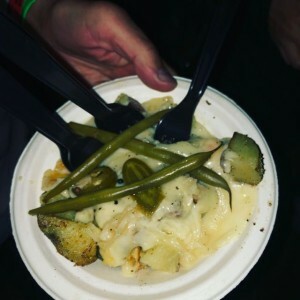 The curated vendor tour gave us an opportunity to experience some Food Trucks/vendors from out of the area that we didn’t have a chance to experience previously. 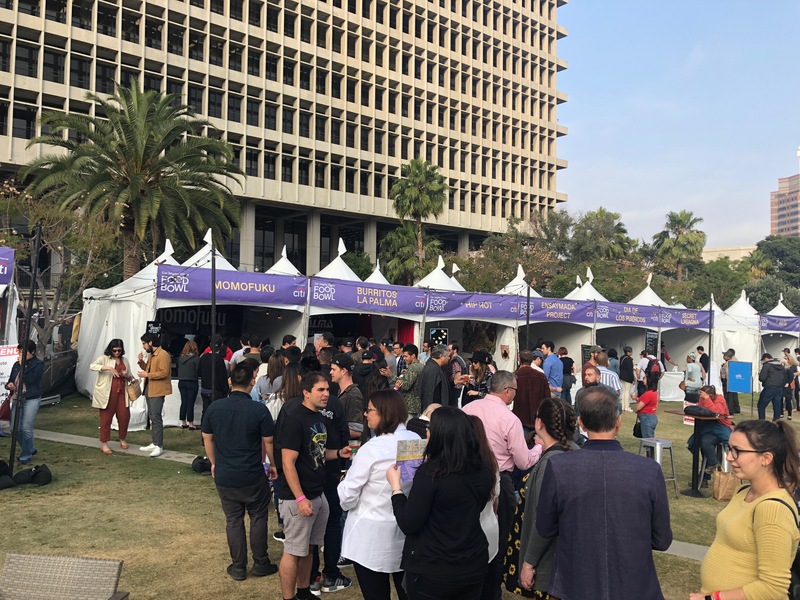 All restaurants and vendors were working hard to keep up with demand and the event was another great reminder about the many things our city has to offer including public parks, outdoor venues, art, music and culture and Angelenos coexisting and blending for the common good. It was refreshing to see so many diverse families, children and pets all in one place and I am proud to call myself an Angelino. Thanks to the LA TIMES and the team at Innovative PR for making the LA FOOD BOWL happen and so successful. 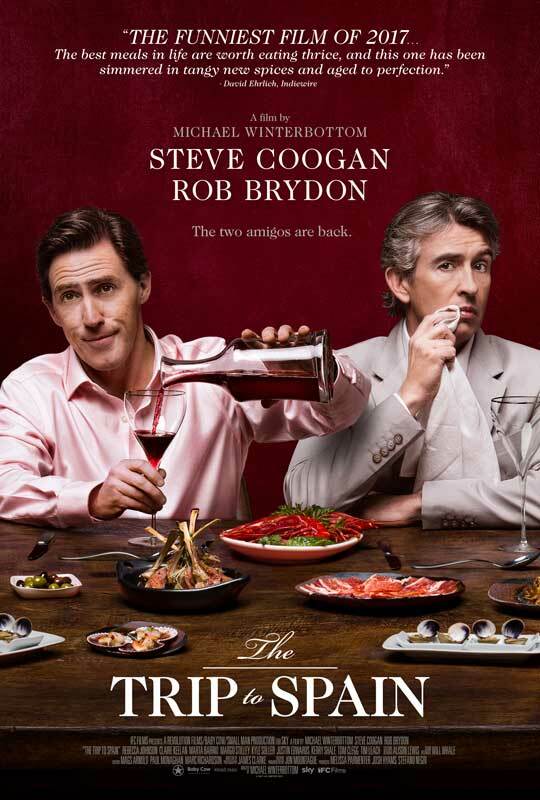 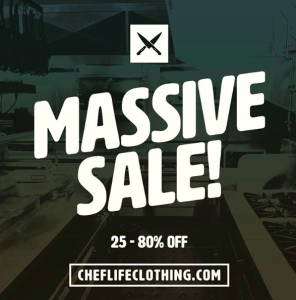 Prior to last-year there has never been foodie-centric programming like this so our many hats of to the staff behind the scenes for making this a reality and we hope that the tradition continues for years to come. 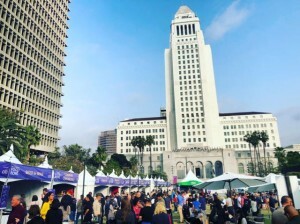 Los Angeles Times Food Bowl is an annual, monthlong festival celebrating the city’s dynamic food scene. Spanning the entire month of May, Food Bowl features many of the chefs and restaurants that have helped put Los Angeles on the map as a premier dining destination alongside world-renowned chefs in rare local appearances at hundreds of extraordinary events. The festival also supports food access, sustainability and waste reduction through charity partners and participating events. 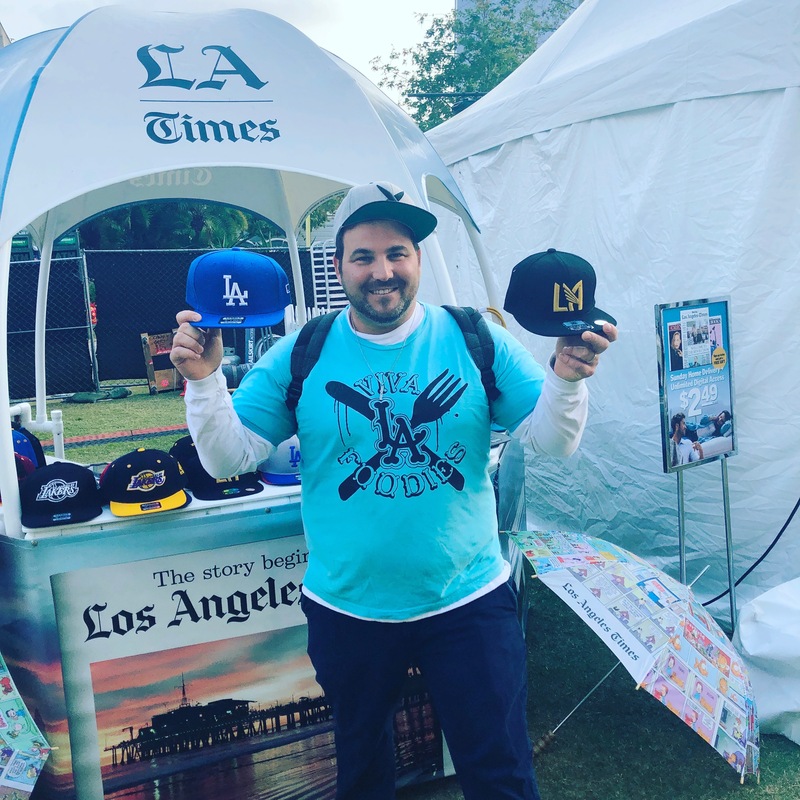 Los Angeles Times Food Bowl 2018 charitable partners are L.A. 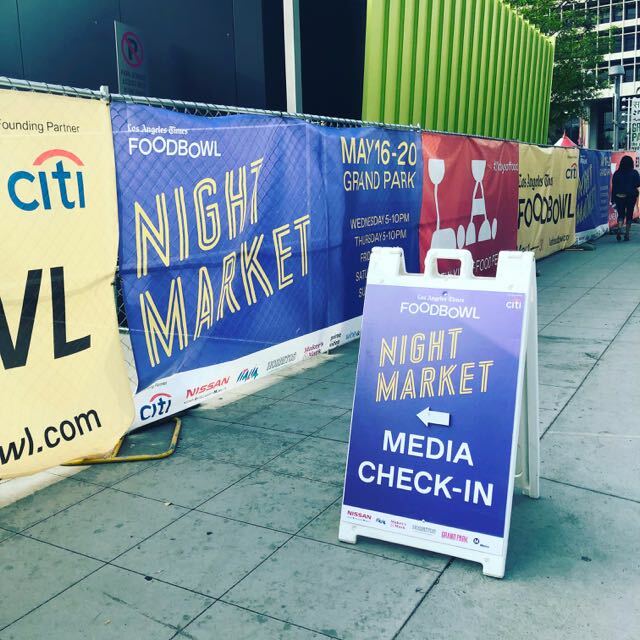 Kitchen, Food Forward and Midnight Mission. 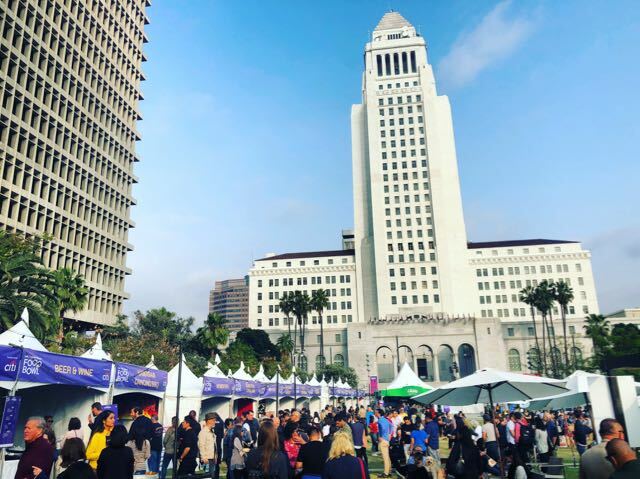 Citi® is the festival’s founding partner and sponsors include Nissan, Maker’s Mark, Hornitos and the Italian National Tourist Board. 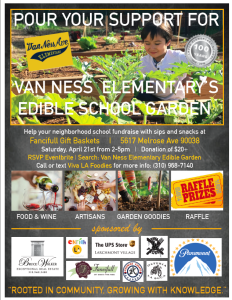 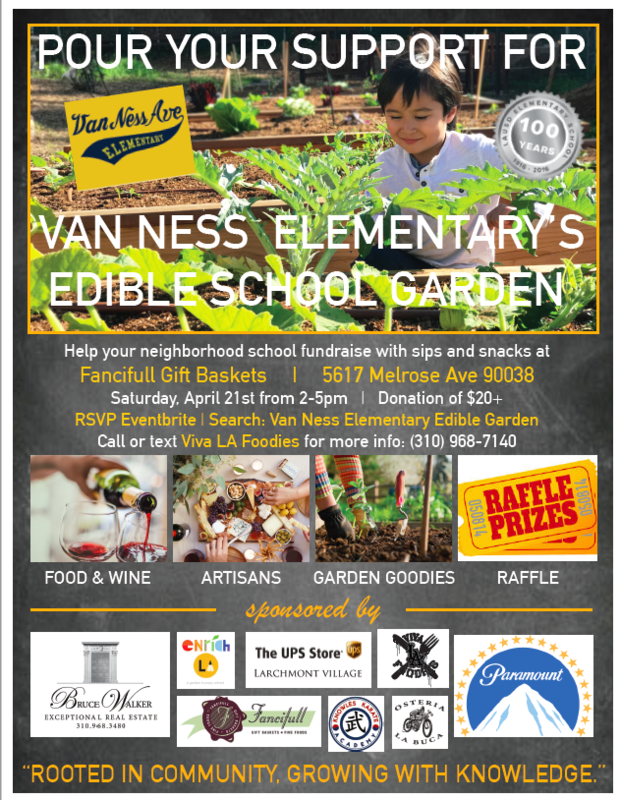 For more information, please visit lafoodbowl.com and connect on Facebook, Twitter and Instagram @ LAfoodbowl (#LAfoodbowl #31DaysOfFood).